For over 40 years, we have been seeing thousands and thousands of yellow sticky pieces of paper stuck to walls, book pages, posters, newspapers, the inside of dormitories, etc. Though Post-It notes were created by chance, it has helped people to be more creative, communicate through a new medium and express themselves better. The initial craze may have faded a couple of decades ago, but many people still use this product every single day. I believe that Post-It notes should get a little shout-out in this student-orientated blog, shouldnt it? After all, it’s helped hundreds of thousands of students through the rough waters of examinations – SPM, IGCSE and GCE to name a few examples. It’s even been proven that over 6 billion Post-It notes are used per year, almost two-thirds of that are by students! I mean, how cool is that? Dr. Spencer Silver, a former 3M scientist, was researching ways to create stronger adhesives in his cramped lab when he chanced upon an adhesive made out of small particles called microspheres. This allowed materials to be stuck on to smooth surfaces without being bonded tightly – and thus could be peeled off without damaging the material. At that time, he was paid to discover stronger adhesives and not this. He tried to forget his discovery, but something compelled him to find a use for it. For years, Silver attempted to find a use for his invention. This lead to his colleagues calling him ‘Mr. Persistent’ because he just wouldn’t give up. Another 3M scientist, Arthur Fry, placed tiny pieces of paper into his hymnal (book of hymns) to mark the appropriate pages during choir practice every Wednesday night. By Sunday, all of them had fallen out – leaving him very, very frustrated. He needed a bookmark that could stick to pages without damaging them. Reflecting back on one of Silver’s seminars about microspheres, Fry then had a bright idea. He asked Silver for a few pieces of the sticky paper and placed it into his hymnal. That Sunday, he flipped it open, revealing little fragments of yellow paper that were exactly as he had placed them. He was ecstatic, causing an embarrassing moment on the church’s stage. At home, he thought that it would be quite fun to use Silver’s invention to leave messages – instead of writing a small note, placing it into an envelope and leaving it on a colleague’s workbench. As he started to use the sticky paper to communicate with his other colleagues, they began to realize the full potential of this idea. The iconic canary yellow colour that is seen on most Post-It notes today was actually chosen by accident. Silver had ran out of paper and the only paper the lab next to his had was canary yellow. However, these sticky notes soon began to spread like wildfire. The Post-It notes sold themselves as customers would use them to convey messages to other people, arousing their curiosity. People new to this product would then peel it off, take a quizzical look at it, ‘play’ with it and then go and buy Post-It notes for themselves. Versatile and easy to see, it is a hit with students and adults alike even now as it has helped us achieve actually keeping bookmarks in the form of small pieces of paper in our textbooks. Post-It notes in lockers, on tables, on walls, in books, on your friends’ backs as a joke – we have been taking Post-It notes for granted, really. Go to whichever sticky note nearest to you and thank it for making your life easier. I’m not kidding you; I just did it myself. Post-It notes have indeed changed the world. Bursts of creativity, intelligence and productivity can be captured in an instant. Sending messages are colourful and creative, vibrant and innovative, making it easier for most people to remember those messages.It also stimulates both the left and right side of your brain. 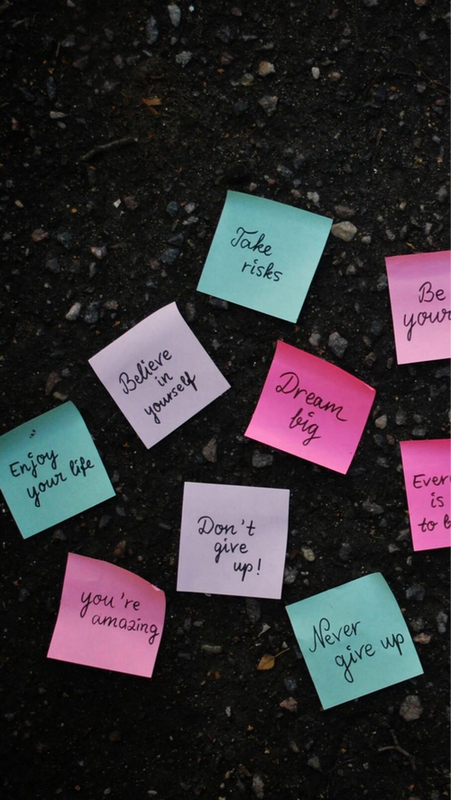 A person who has used Post-It notes loves them and is converted into a Post-It note evangelist – like me! Go Post-It notes! And never stop producing because if you do, my life will be misérable.